Do you seek that competitive edge in the job market? 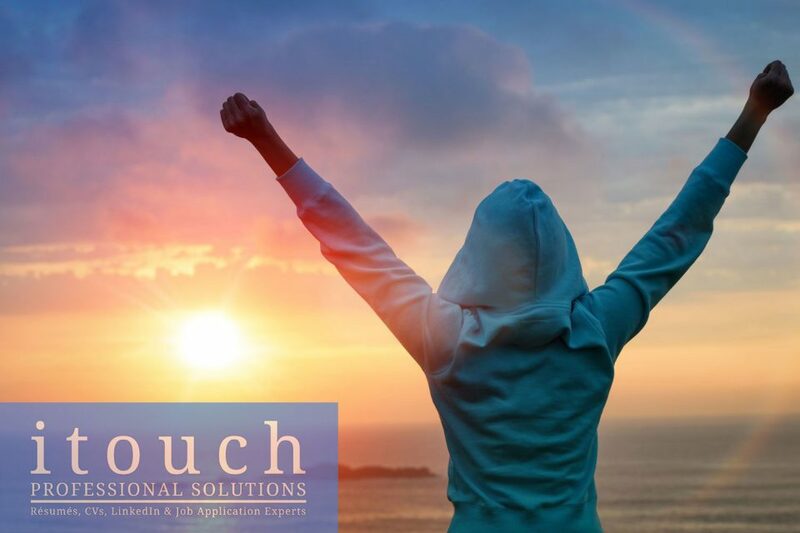 At itouch, we've been serving Australian's since 2001, providing expert Resume Writing Services, Job Letters, LinkedIn Profiles and much more. With our help, we aim to make your job search successful. itouch has been the brain child of Roland Coombes, an HR, Talent & Recruitment expert. Since conception, itouch has helped over 7,000 clients and we are well on the way to making that 10,000! However, we will always focus on the individual, not the numbers. The most rewarding and satisfying aspect of our work is hearing back from our clients about the successes they have had. Did you know? In addition to Resumes Writing Services & CVs, we provide support for Cover Letters, LinkedIn, Job Applications, Interviews and more. Find out all the latest information, tips and useful insights from our career services blog and the latest resume writer tips. Do you need to increase your networking capability. 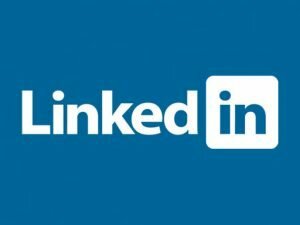 LinkedIn provides a proven platform from which to build industry wide connections and deepen your job search connections. We provide LinkedIn profiles to "expert level". In 2001, we set out to make sure our resume services can be used by all. 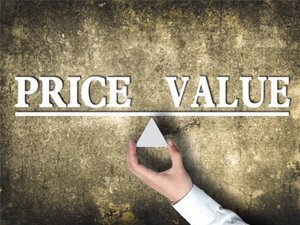 Today, we still focus very much on offering excellent value for money coupled, with a true customer experience. 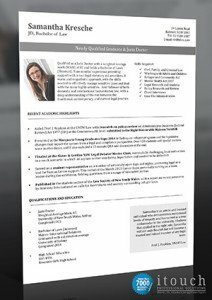 This experienced legal graduate came to us without any interviews for 3 months and during a highly competitive graduate recruitment intake. We were able to identify multiple selling points (previously unlisted) and offer a full re-design. Success came within the third week of using this new version and she is now game fully employed. A CPA by background, this financial analyst was lacking any focus on their resume and just wasn't being offered the level they deserved. By asking the right questions and rebuilding the resume on competencies, we were able to move them to the next level i.e. business decision support where they are now working for a well regarded Commercial Director within an ASX 200. 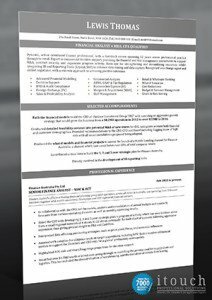 This client asked us to produced a branded resume, to be used for consulting based work and a version that could also be incorporated into a Bio. We moved outside of the traditional framework with a strong black & white colour scheme, spot orange, and their initials as a watermark. Such was the success of this work, this client has since referred 4 friends. We work with juniors to senior experts. 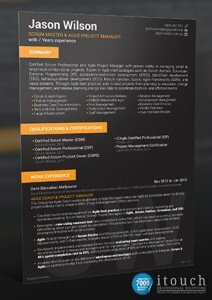 All professional resumes are built using a competency based resume model, thus aligning with market requirements. If you require more than just a resume writer, we can provide you with full support for personal branding across LinkedIn, Networks and more. Servicing clients all over Australia incl. Sydney, Melbourne, Brisbane, Canberra, Perth and Internationally too. "An incredible resume with immediate impact!" "7 interviews in two weeks speaks volumes for what you achieved". Focus on growth markets - by chasing growth industries you will increase job your opportunities over the long term and reduce the risk of candidate surplus.